Thou art I and I am thou. Nintendo revealed the first paid DLC fighter for Super Smash Bros. Ultimate last night at The Game Awards 2018. That fighter was none other than Joker, the main character from Atlus’ Persona series. But Joker might not be that well known by some people in the community who have grown up with classic Nintendo games. This begs the question: Who is Joker, exactly? Well, Joker is the protagonist of Persona 5, a game that came out exclusively for PS4 in 2016. The game revolves around a group of high school students who harness special powerful beings, known as Personas, and use their powers to expose evil people and their cruel deeds. Joker is a silent protagonist, which is a common theme in the Persona games. He was wrongly convicted of assault after he defended a women from a drunk girl. Under probation, he was expelled from his school and forced to move to a new academy in Tokyo to continue his studies. There, Joker learns how to use his Persona and he meets more like-minded troublemakers who look to use their newfound powers for good. 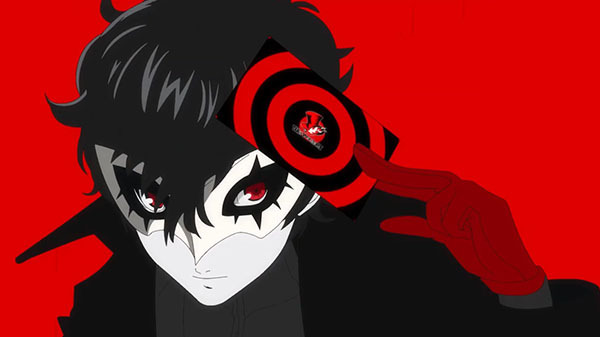 There’s plenty more details that we could go into about the Persona games and Persona 5’s story, but we’re here only to talk about Joker this time around. If we look at his Persona abilities, Joker will likely wield a small handgun as his main weapon, similar to Fox. His control of multiple Personas could also help create a lot of potential movesets in Smash Bros. when he’s released next year. His final smash will surely be “All-Out attack,” which is a special move in the Persona games that has the entire party attack all enemies at once, dealing massive damage. We could easily see the rest of the party join in for this one, similar to how Shulk gets some help in his final smash.